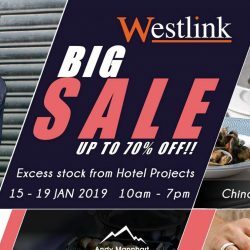 15 - 19 Jan 2019 Westlink: Clearance Sale with Up to 70% OFF WMF, Alfi, Andy Mannhart & More! A good reunion dinner will not be completed without good cookware and tableware! 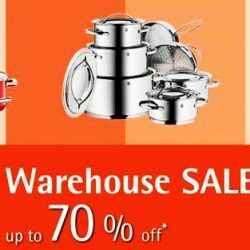 Get your quality cookware, chinaware and glassware at Westlink's Clearance Sale, with up to 70% off excess stock from hotel projects! 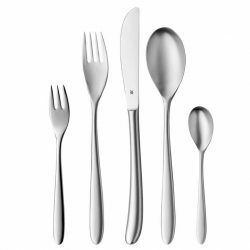 Brands include WMF, Alfi, Andy Mannhart, Bragard and more. Nets or cash & carry only! Shopping for your home needs this season? 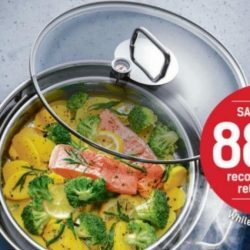 Head to Tefal's Year-End Sale for deals up to 80% OFF starting at only $8! Participating brands also include WMF, KRUPS and Rowenta. 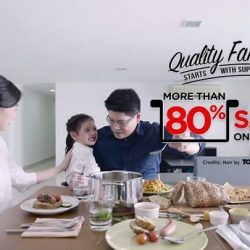 Till 28 Feb 2018 NTUC FairPrice: Redeem Exclusive WMF Stainless Steel Cookware with Bonus Points! 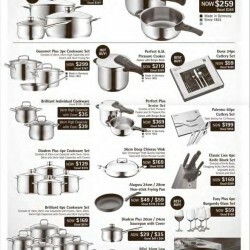 Stretch your dollar today with your Bonus Points to redeem this exclusive WMF cookware collection at NTUC FairPrice! Spend $30 in one receipt to get 1 Bonus Point. Save up to 88% off recommended retail prices! While stocks last. 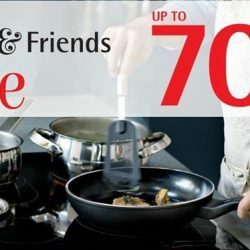 Join in at the WMF Family & Friends Sale happening at Metro Centrepoint from 2 to 8 October 2017 and enjoy up to 70% off their cookware! Don't miss two of our crazy Atrium Sales starting today at Isetan Katong and BHG Seletar Mall! Both sales end 28th August, so hurry on down! Watsons stamp redemption program is back! 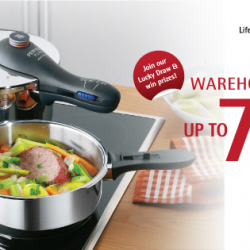 Save more than 80% on WMF cookware when you shop at Watsons and collect stamps! 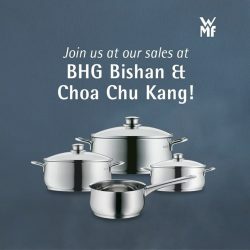 Enjoy up to 70% discount at WMF's upcoming Warehouse Sale on 30 and 31 July! Get your kitchen cutlery, pots and pans now! Head down to our atrium sale from now till 17th July at Isetan Serangoon NEX Level 1 Atrium! On the 17th, don't miss our live cooking demo with Chef Sawarto from 3 - 5pm! 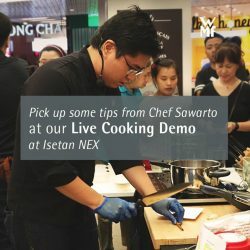 Chef Sawarto will be demonstrating how to cook Malaccan delights such as Nyonya laksa, Chicken rice ball and Kuih Kuih, using various WMF cookware. Best buy: 28cm Deep wok at $139 (U.P $489). Check out other products that are on sale only during the cooking demo! See you there! Don't miss our Atrium Sales from tomorrow till next Sunday, 17th July! Special Buy: Gala Plus 20cm Stock Pot @ $69 (U.P $199).Purchase at $39 with min. purchase of $50 in WMF products! SALE! 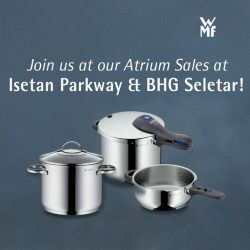 Come shop for all your kitchen needs at our various atrium sales! Sizzling best! 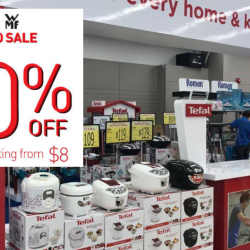 Tangs brings you WMF Cookware Promotion, until 31 March 2015 (Tue). 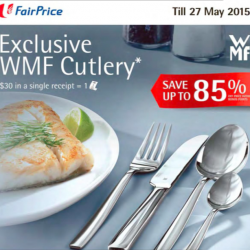 FairPrice offers an Exclusive WMF Cutlery Redemption $30 in a single receipt and save up to 85% off until 27 May 2015. 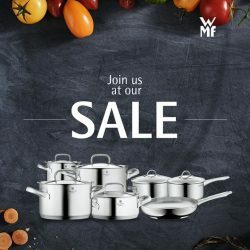 Don't miss the WMF Warehouse Sale happening this Weekend! Back by popular demand, the WMF Warehouse Sale is returning again ONLY on 15 November 2014 (Saturday). With items up to 70% off, this is an event you won't want to miss!